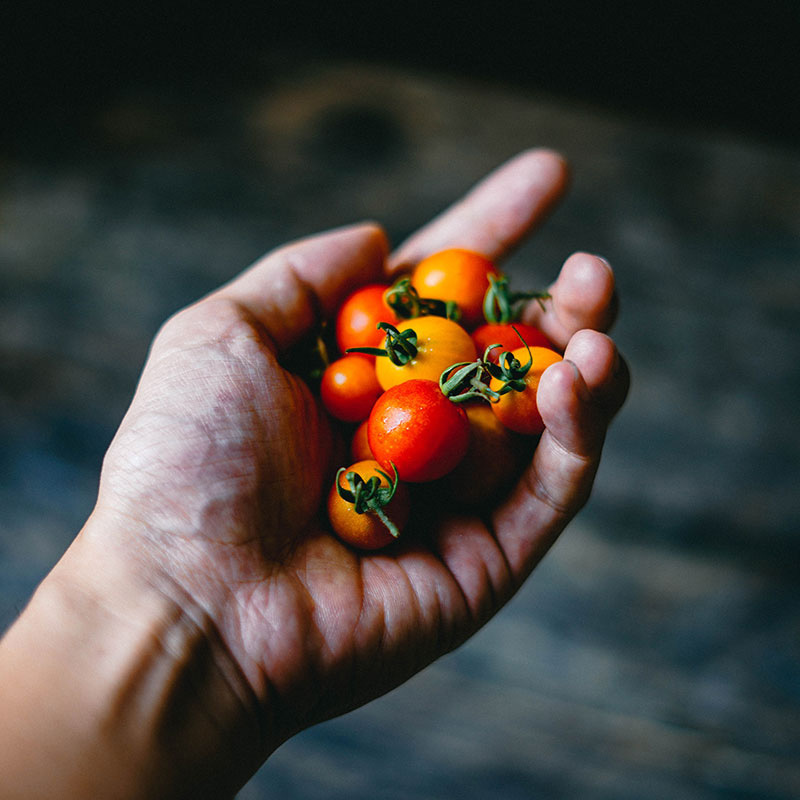 There is little more rewarding than planting, growing and picking your own fresh, plump, juicy tomatoes – right from the garden. Whether you’re filling your garden beds with red fruits or adorning your balcony with productive pots, we’ve compiled a brief guide to growing your own tomatoes – including tips for helping them flourish, and advice around when to plant or harvest. For best results, tomatoes require a combination of full sun, no strong winds, and ample space. In fact, we suggest planting seedlings relatively deep and as much as 50cm to 1m apart, depending on the variety. Bush-type plants need less space in between, whereas vines on stakes will flourish with a metre or so in their midst. Staking is essential in most cases (giving the vine a framework to grow up) and requires soft materials so as not to damage the plant’s stems. With adequate space, light and moisture, most tomatoes flourish just as well in pots (both indoors and outdoors) as they do in garden beds. But it’s important to note that larger varieties will need bigger pots and added staking support. If you’ve got smaller spaces, choose compact varieties such as San Marzano or Patio Roma. In most climates, spring planting will be most fruitful (around August or September), but some warmer climates welcome tomato planting all year round. Frequent and thorough feeding and watering with liquid fertiliser is a sure way to keep your fruity red beds happy. Some experts suggest pre-heating the soil too, as growing plants love warm beds – simply cover the beds a few weeks before planting with groundsheet or tarpaulin and let it get a little steamy under there. An early harvest is worth the extra effort! And remember, whether in a small pot indoors or an expansive garden bed, you’ll have the most success with organic, disease-resistant seeds. 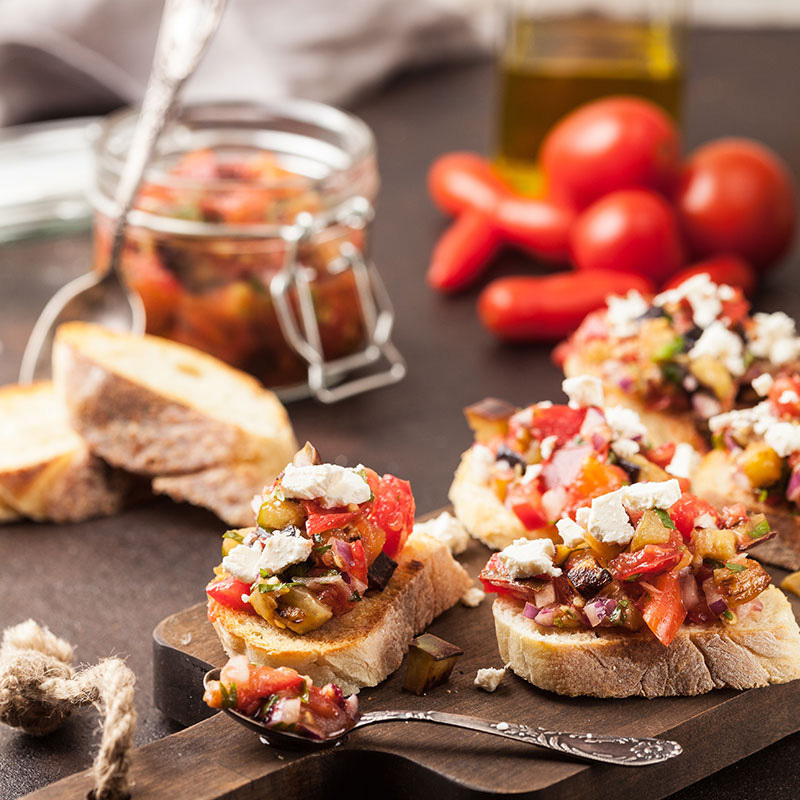 Plus, heirloom tomatoes are our favourite in terms of consistent success with flavour! 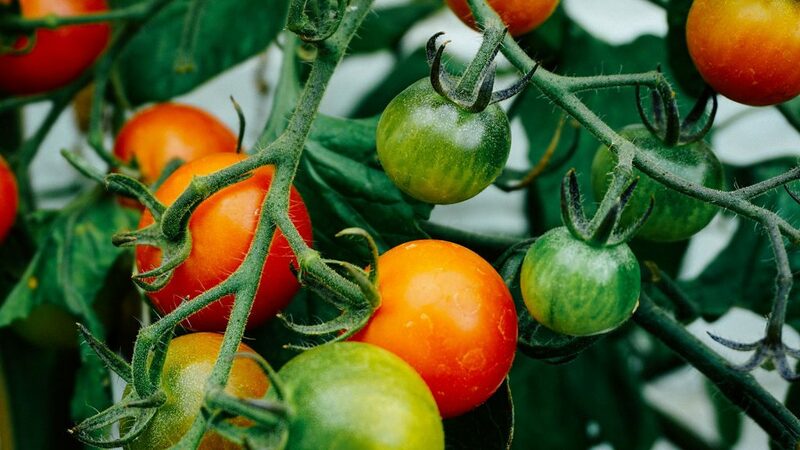 Unlike many fruits (yes, tomatoes are imposters in the vegetable aisle), some varieties are best harvested when at a mature shade of green and left to ripen off the plant. 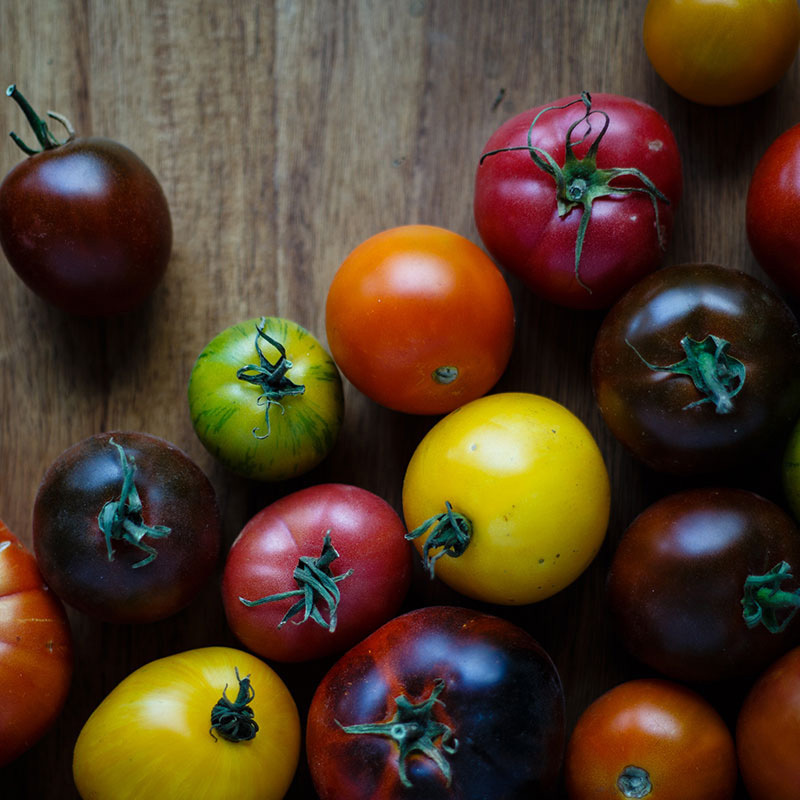 Heirloom varieties, for example, are best picked before they’ve turned fully red, and cherry tomatoes crack if left on the vine too long. But some varieties require an even red colour for optimal picking, and vine ripened tomatoes often boast much bolder flavours and colour profiles. Another way to tell is by touch – somewhere in between firm and soft is usually the prime time to harvest. One main difference between garden beds and pots is that the latter dry out much faster, so frequent watering and fertiliser is vital. Another expert tip when growing indoors, where breeze is minimal, to turn a gentle fan on the growing seedlings to force their stems to strengthen. Lastly, if you’re cultivating a whole veggie garden, tomatoes seem to really flourish when planted next to cucumbers, basil, asparagus, lettuce and onion. With all that green, red and white, we can’t think of a more fitting Italian garden bed!